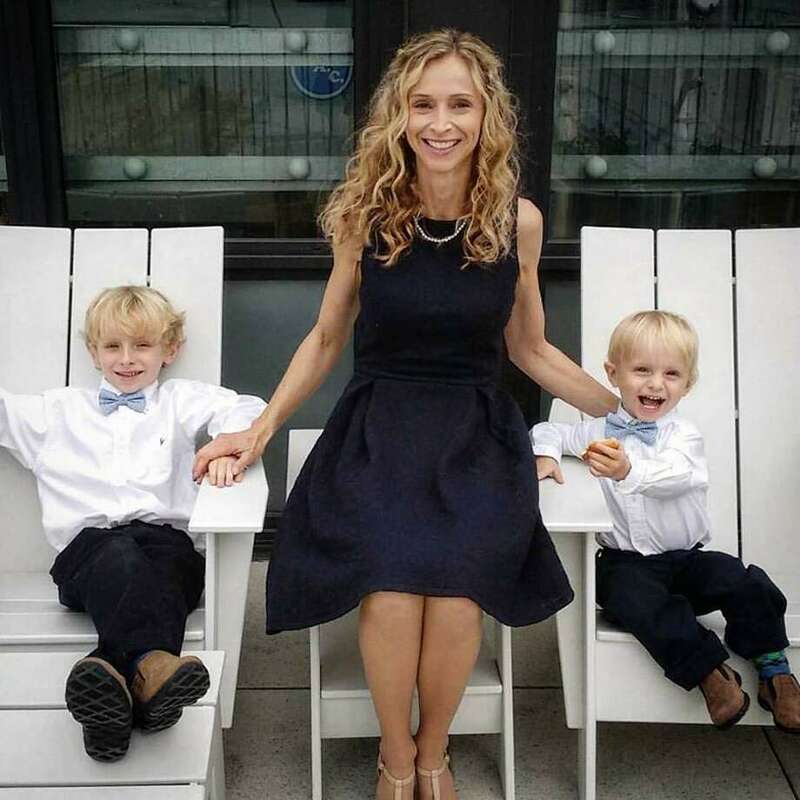 Author Sara Goff, of Westport, with her two young sons. I feel like I’m stating the obvious when I say books transport us to a different time and place, letting us experience the lives of people so different from ourselves. But other times, a book will meet us right where we’re at in life, beyond time and setting. The first time I read “The Princess Diaries” when I was about 14, I found a kindred spirit in the main character, Princess Mia Thermopolis. Friends and family will tell you it’s because I also want to be royalty, but I tapped into the struggles of being an anxious, yet passionate teenager navigating high school. When I reread the first book in the series a few months ago, Mia didn’t resonate with me quite the same way. Instead, I saw her as a reflection of my teenage self. Lately, as I navigate my early 20s, I’ve found myself gobbling up coming-of-age stories. (I’m reading “Sweetbitter,” by Stephanie Danler, which follows 22-year-old Tess, who is new to New York City and the glamorous world of serving at a high-end restaurant. I highly recommend it.) In these stories, I see myself where I am now: at a crossroad in my life, with each next step seemingly carrying much weight. Ava in Sara Goff’s first novel, “I Always Cry At Weddings,” captured this feeling. Living in New York City and working in fashion, Ava turns her life upside down when she leaves her wealthy, yet cold, fiance a month before the wedding in a move that allows her to find a more fulfilling relationship, but sets her back financially. She also tries to pursue dance, her childhood dream. It’s something inspired by Goff’s own story. The Westport writer spent seven years living abroad in a mountainside cabin overlooking the Baltic Sea in Stockholm and in London, but before that Ava’s story was a bit like her own life. Goff lived in New York City for 16 years, working in fashion for seven of those, while trying to write at night. “A lot of what plays into the book comes from my experience in New York,” she said. Like Ava, Goff was in a prosperous career and in a relationship with someone who she wasn’t quite sure was “the one.” She longed to do something more meaningful, so, like Ava, she also left her job to pursue her writing dream, as well as her relationship. Goff, much like her main character, had a strong desire to help other people, so she began volunteering at a soup kitchen, where she also helped with writing workshops. This same spirit of volunteerism continued when, in 2010, she started Lift the Lid, which supports underprivileged schools and encourages students to express themselves through writing. A portion of the sales from Goff’s first book go to Lift the Lid. Despite her tumultuous 20s being far behind her, Goff’s book has resonated with women of all ages, serving the role “The Princess Diaries” now serves for me by bringing them back to a different time in their life. For me at 23, the book met me where I am in life, a time as filled with confusion and anxiety as it is joy and excitement of finding my path.